True Religion Brand Jeans is known not only for its denim, but also for its knit and woven sportswear, such as t-shirts, western shirts, sweatshirts and sweatpants that all have that vintage feel. True Religion was founded in 2002 by industry veteran Jeffrey Lubell. The founder, chairman and chief executive officer built the brand based on the principles of quality, American-made authentic denim with timeless appeal and a vintage aesthetic. The brand offers a wide range of styles in nearly every category and embraces the motto: "It’s all about the fit." True Religion clothing is made for and by people who don't follow trends, they set them. Want to earn Airpoints Dollars™ on your international shipping costs? You can earn 1 Airpoints Dollar for every NZ$40 spent when using YouShop by New Zealand Post to ship your online shopping home! Sign up here. 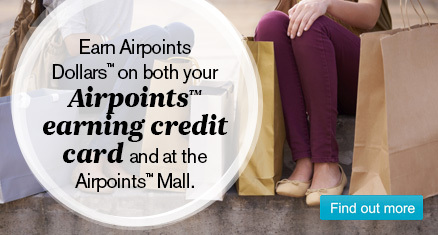 Once you have signed up, remember to come back through the Airpoints Mall to start shopping.